In honor of the New York Giants making their NFL record-breaking 31st appearance in the playoffs, today we present some gametime giveaways – old and new! 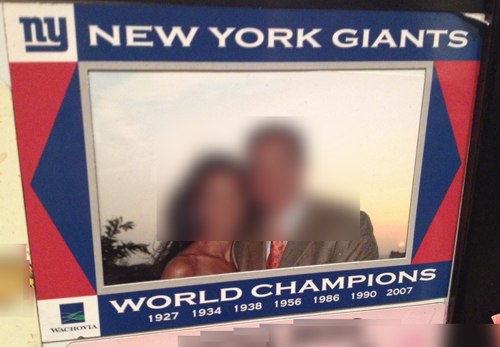 First, from their 2007 championship season: a promotional photo frame magnet. And for their 2011 playoff appearance, a custom rally towel that can be used to show support during the game. Notice the incorporation of the team’s Facebook and Twitter links – a lot more important today than they were 4 short years ago. Go Giants! Everyone at ePromos HQ in New York is rooting for you! « First Look: New Items at PPAI Expo 2012! 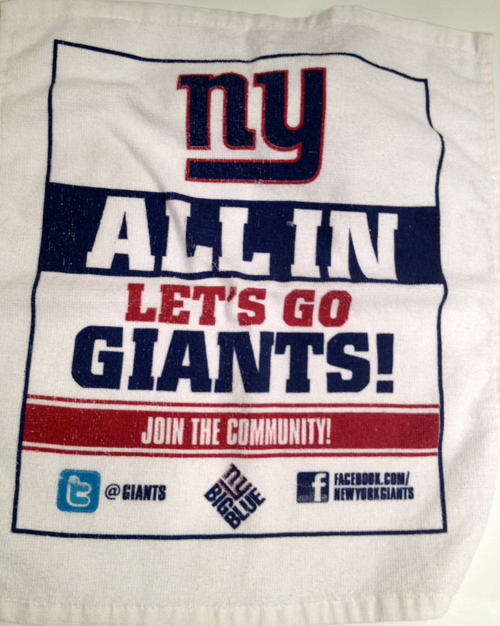 how do we get a “All In Lets Go Giants” towel?